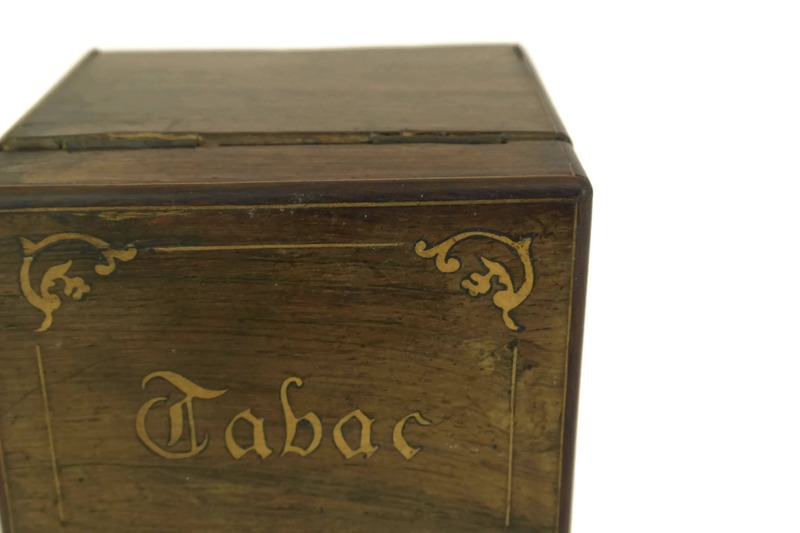 An elegant French antique marquetry tobacco box dating to the early 1900's. 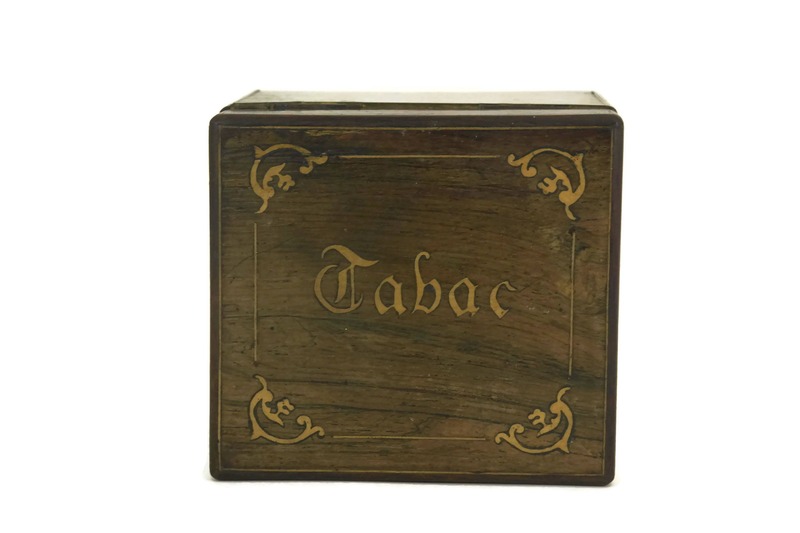 The antique box has a lovely hinged lid which has been decorated with a wood inlay design with the French word for tobacco "Tabac". 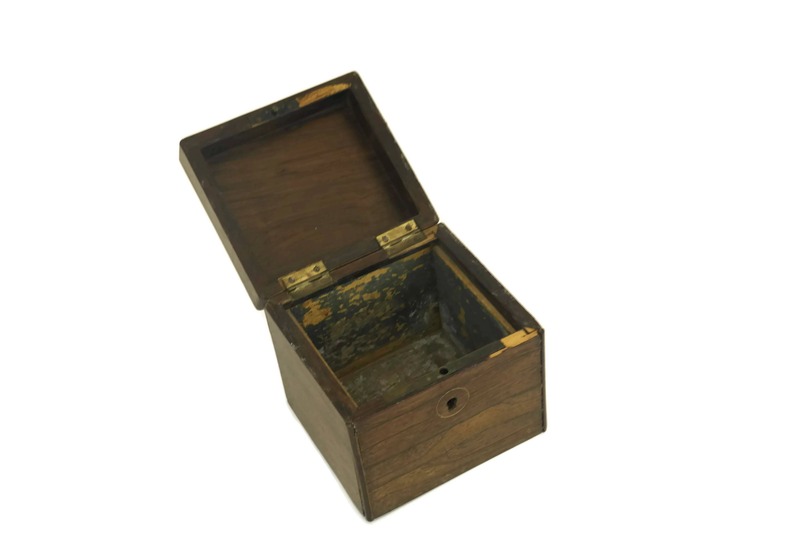 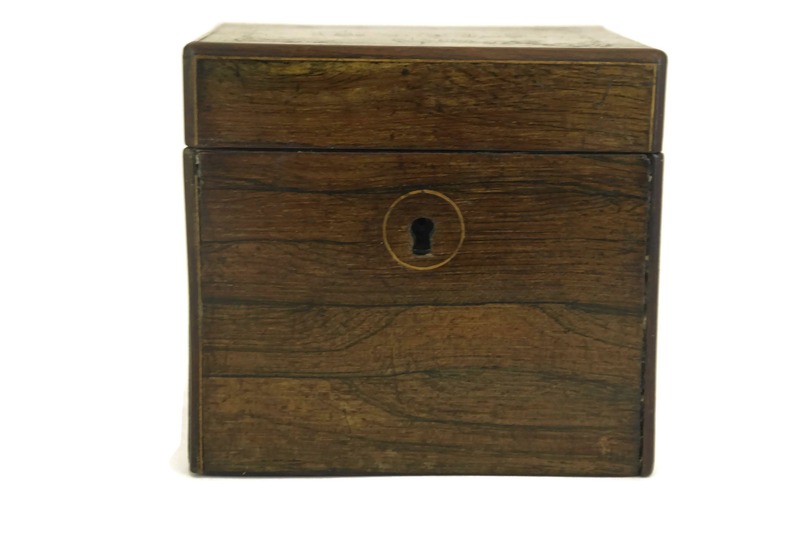 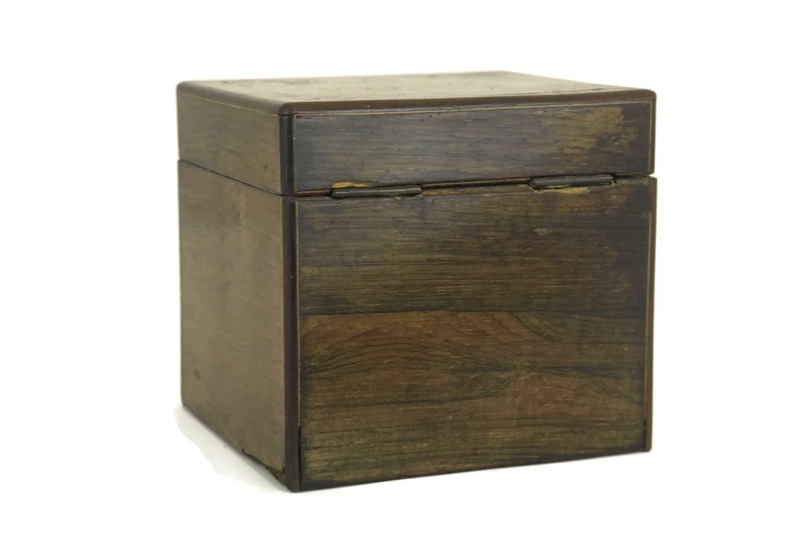 The square box has deep sides and has its original metal latch. 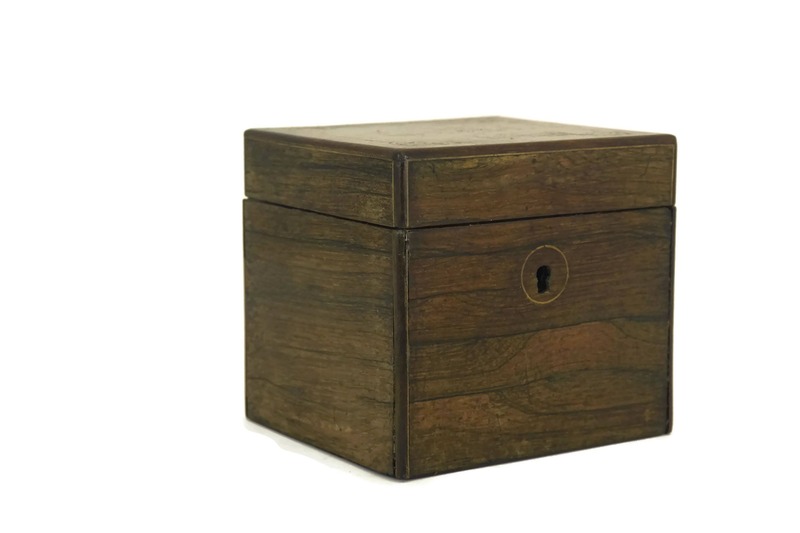 The key has been lost. 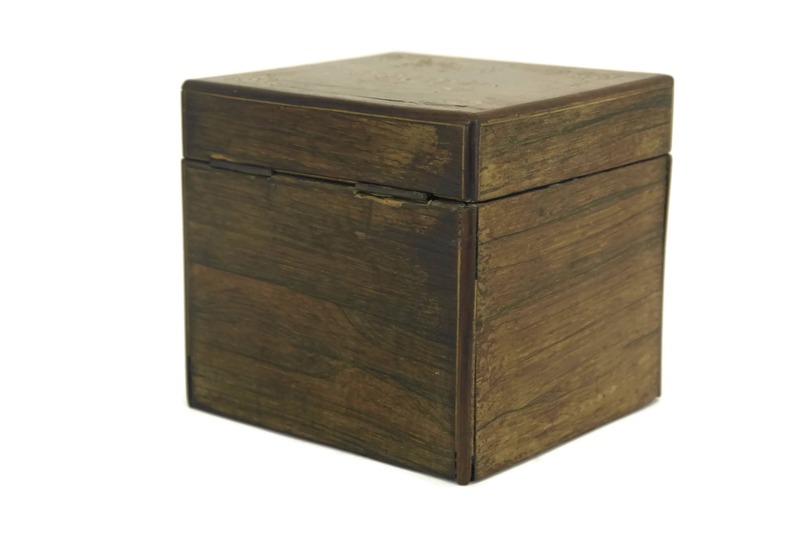 (11,5 cm x 10 cm x 10 cm). 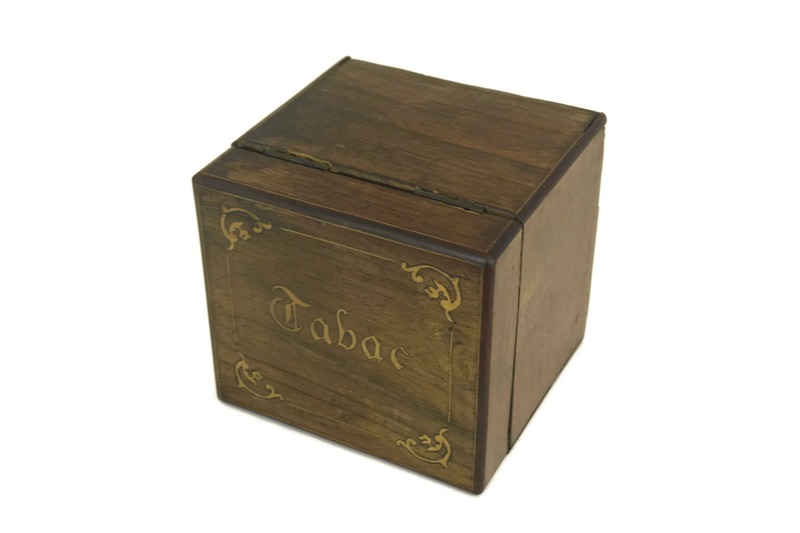 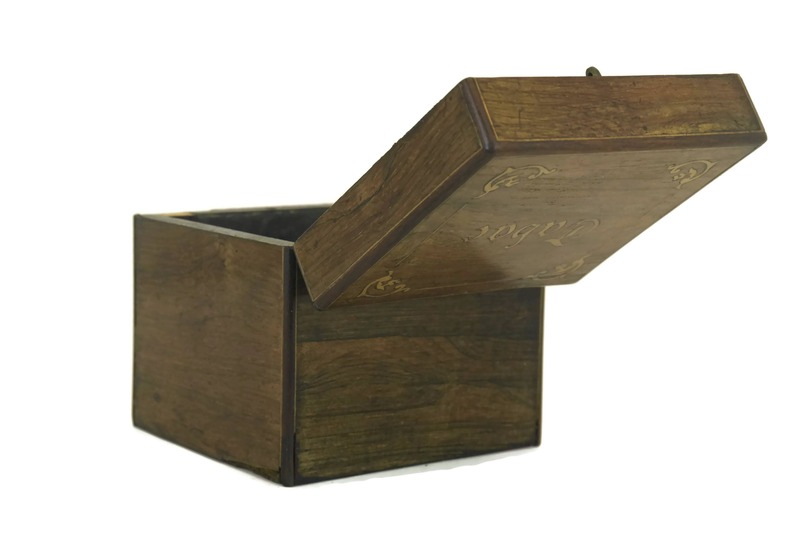 The tobacco humidor is in good antique condition with signs of age including some loss to the wooden veneer on the edges and to the interior. 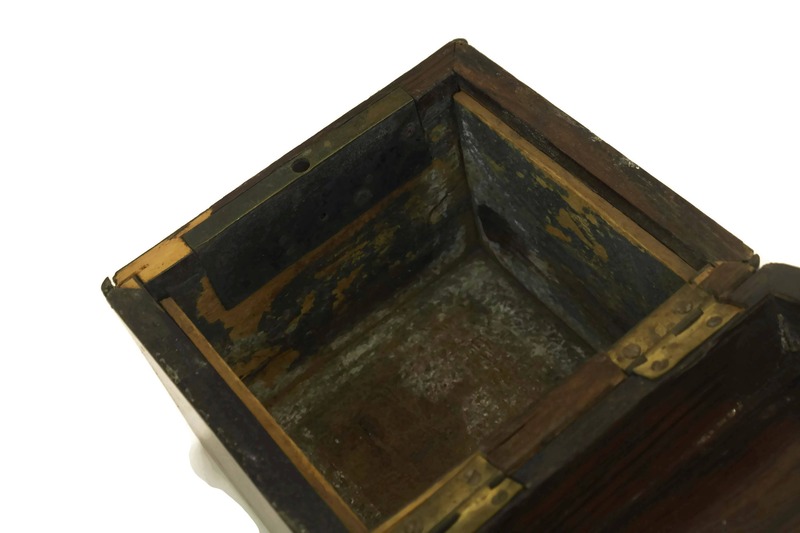 There are surfaces scratches and wear to the interior.